Texoma Trailer Body & Welding enjoys helping you keep your trailer in tip-top shape. Our team of service technicians will meet all your needs, providing quality repair and access to high end brands. When you work with us, you’ll get it all. We are fully licensed, insured and locally owned and operated in Wichita Falls. With a full inventory of parts, full service repair, and affordable pricing, you’ll be pleased with your service from us. We proudly carry Timken bearings, the leader in all bearing parts. 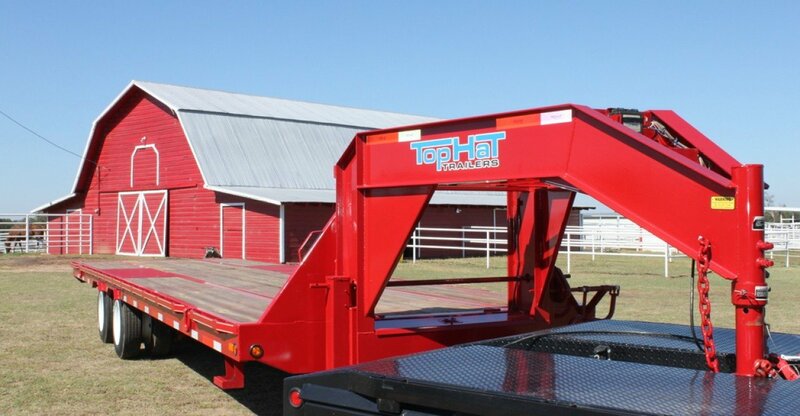 When you need a new trailer, we have several types available from Top Hat Trailers. This includes single axle, tandem axle landscapers, car and motorcycle haulers, heavy duty utility equipment trailers, over the wheels, hydraulic dump, specialty, and cattle, hay, and cargo trailers. They have models that have up to 30,000 pound capacity. Within each category of trailers, there are no less than six models to choose from. As a certified dealer for Top Hat Trailers, we can get you the trailer to precisely meet your needs. When it comes to repairs and replacement parts, Texoma Trailer Body & Welding has what you need. We can replace the wheels, arms, trailer hitches, gates, beds, more to ensure your equipment stays secure and is transported safely. We work with individual customers and businesses as well to meet large and small scale needs.